Instate 9:30 am until Mass begins. Irene McCarthy called Dearborn Heights home for over 60 years, during which time many neighbors became lifetime friends. 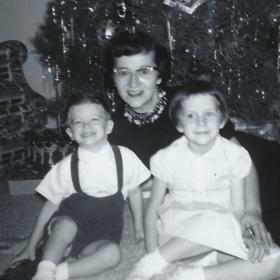 She was a devoted wife and mother who witnessed her family tree blossom to include children, grandchildren and great grandchildren. With a wonderful life that spanned exactly 92 years, she created a tapestry of memories that loved ones will forever hold close to their hearts. 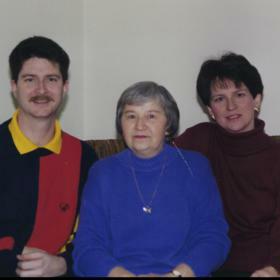 Her parents John and Bernice (Winiarski) Blazeyewski came to America from Poland after WWI, looking to build a life for themselves in a new country filled with opportunity. The 1920’s were a busy time for the couple. Their first born was a son, Edward, followed by a daughter, Virginia. Then on April 17th, Irene Sophia was born, completing the family. The Great Depression in the 1930’s presented an economic challenge for the family. This left a lifelong impression on Irene and influenced her attitude toward thrift-fulness. The rest of the decade brought more family sorrows including the death of her 8 year old brother and loss of her mother. The love and support of friends and neighbors carried her through this difficult time. 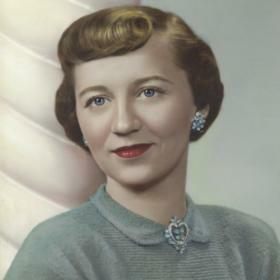 Irene went on to graduate from St. Hedwig High school in 1944. After graduation she entered the workforce as a bookkeeper for the A&P Grocery Store chain.  Life was forever changed for Irene when she met her life partner, Richard McCarthy at a wedding in the late 1904’s. Irene and Richard began dating and did not take long for the couple to fall in love. The sweethearts were married on December 2nd, 1950, at Fort Eustis in Virginia while Richard was serving in the United States Army. Their marriage lasted over three decades. Irene and Richard were blessed to welcome two children, Susan in September of 1955 and Timothy in May of 1959 into their hearts and home. The family of four made lasting memories in the home on Nightingale for many years. Irene was known for keeping that home spotless, inside and out. She imparted timeless wisdom on her children and grandchildren with her favorite sayings, “Enough is enough, too much is no good”, “Patience is a virtue” and Save some, spend some”. On October 1st, 1982, Irene and her children were deeply saddened by the unexpected death of her husband at the age of 55. Irene continued to live in the family home until 2014. Irene and Richard were founding members of the Saint Sabina Catholic Church. Irene took her duties as a wife and mother seriously and tried to instill her deep Catholic beliefs into their lives. The children attended Saint Sabina Catholic school. Both went on to attend Catholic High Schools as well. Irene was a Saint Sabina parish member for over sixty years. 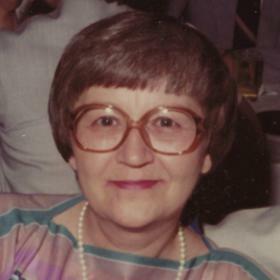 In her later years, she became an active member of the Red Hats Society and the Berwyn Senior Center in Dearborn Heights. Irene enjoyed attending weekly club meetings and developed some treasured friendships. Irene especially loved singing with the senior choir, bringing smiles to the many nursing facilities they visited. Irene’s sense of humor was appreciated by her friends wherever she went. People always commented on how much fun she was. One of her childhood dreams was to be an actress and this could be seen when she participated in various outside events, always looking very stylish in her matching ensembles and hats. Irene’s hat collection grew to over sixty. There was a hat for every outfit, but she definitely had her favorites. She would often tell others “I think I look pretty good for my age” to which most would agree. 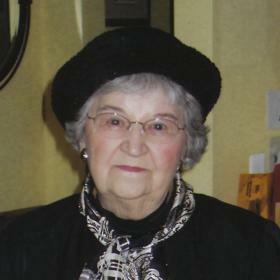 Irene Sophia McCarthy, of Dearborn Heights. Passed away April 17, 2018. Loving wife of 31 years to the late Richard McCarthy. Irene is survived by her daughter Susan Chen and husband Paul, son Timothy McCarthy and wife Sharon; five grandchildren: Christopher Nairn, Katherine Nairn, Andrew McCarthy, Timothy Chen and Sean McCarthy; three great grandchildren: Isaac, Hazel, and Alexandra; nieces and nephews: Kathleen Pedrys, Antoinette Innes and Michael Ochylski and many other great nieces and nephews. Visitation will be held on Friday, April 20 from 2-8pm at Neely-Turowski Funeral Home, 30200 Five Mile (between Middlebelt and Merrimen) in Livonia. A mass of Christian burial will be held Saturday, April 21 at 10am with an in state at 9:30am until Mass begins at Saint Sabina Catholic Church, 25605 Ann Arbor Trail, Dearborn Heights. 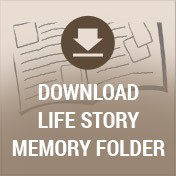 To share a favorite memory and/or photo of Irene and sign the online guestbook, please visit www.TurowskiFuneralHome.com.